Urban sophistication steps from South Park. The soul of South Beach. 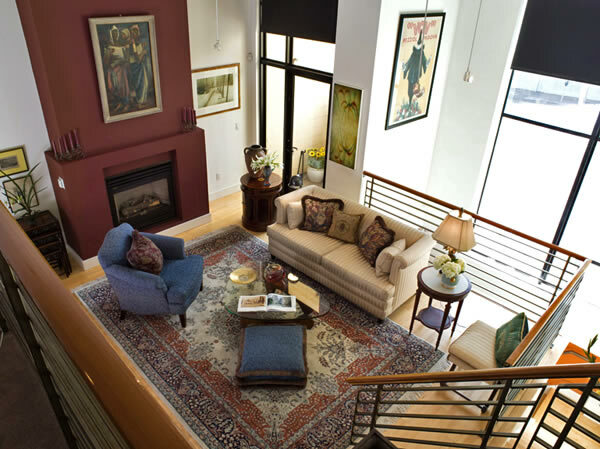 Two bedroom loft condominium in an intimate Toby Levy designed building. Custom upgrades throughout. Private balcony off the living room. High ceilings and huge windows illuminate well designed discrete spaces: foyer, gas kitchen, dining room, living room with gas fireplace, loft bedroom and home office/guest room. The guest room has been fully customized as a home office which transforms into a guest room easily. The garage entrance is off the alley. There is parking for one car. 415 Bryant is a well managed intimate building with low HOA dues. Plugged in location. Where Ruby Rails meets Brick and Mortar design. And there's a dog park.